PRESS RELEASE: UK/Bahrain: IHRC report on Bahrain to be launched at House of Lords, 11 October. PRESS RELEASE: UK/Bahrain: IHRC report highlighting torture in Bahrain to be launched at House of Lords, 11 October 2010. 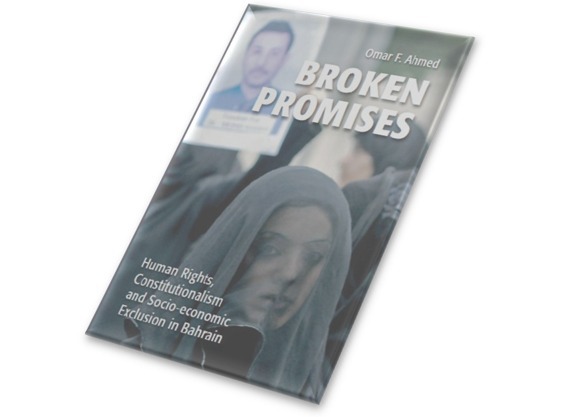 The IHRC’s latest report on Bahrain, called ‘Broken Promises: Human Rights, Constitutionalism and Socio-economic Exclusion in Bahrain’, by Omar F. Ahmed, will be launched at a Press Conference at the House of Lords on Monday 11 October, 2010. The event, hosted by Lord Avebury and the Bahrain Centre for Human Rights, will focus on the Report’s confirmation of the Bahraini state’s use of torture against political dissidents. This is an issue which particularly topical as the country is currently in the midst of a massive crackdown against political opposition and civil society activists in the run up to the elections scheduled to take place on 23 October. In doing so, Bahrain has been unsuccessful in preventing social-economic exclusion. The report discusses exclusion of the wider general population, in addition to the more specifically targeted institutional discrimination against its Shia majority. The abuses that have been emphasised in the report are, firstly, unwarranted restrictions on the freedom of expression, assembly and association. Secondly, using information obtained through human rights groups, the report accuses authorities of arbitrarily detaining opposition figures and human rights activists, and subjecting numerous prisoners to torture. The Press Conference will take place in Committee Room 3, House of Lords, London SW1A 0PW, at 10.45am on Monday 11 October, 2010. All are welcome to attend. For more information on the report, please contact the IHRC Press Office on (+44) 20 8904 4222 or (+44) 208 904 4222 or (+44)7958 522196, or email: info@ihrc.org. For information on the launch event, please contact Lord Avebury on 020 7274 4614 or email ericavebury@gmail.com.